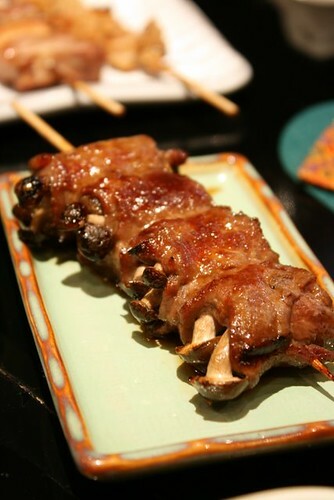 I could not depart without sampling some kushiyaki, which Wahiro does very well. Beef shimeji (S$5.80), simply delicious. 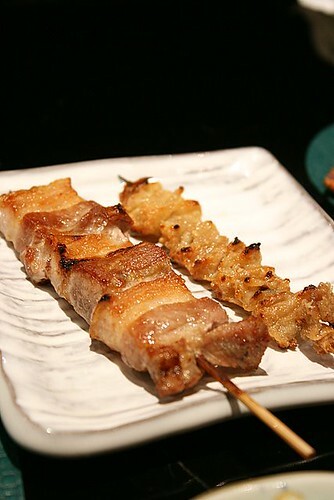 Pork belly (butabara, S$2.80) tastes so good grilled like this. Chicken skin (kawa, S$1.80) too. Grilled crisp and miraculously not greasy. 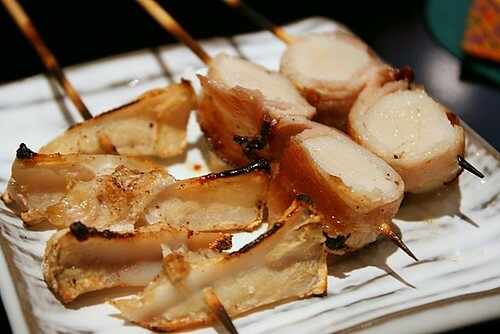 I've been called crazy for liking nankotsu or grilled chicken cartilage (S$2.50), but hey, clearly the Japanese thought it desirable as a regular kushiyaki item. Grilled very nicely here and still a little moist with bits of meat on the soft bone. I daresay these were better than the ones I had at Nanbantei in Tokyo. The scallop bacon was pleasant but may not be worth the price (S$9.80). 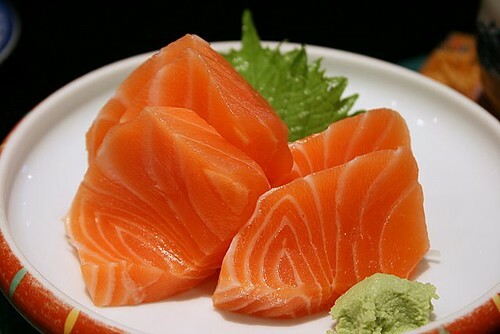 Salmon sashimi (S$12). Glorious colour. That coveted firm yet almost creamy texture. Sweetness that you savour in silent reverence. 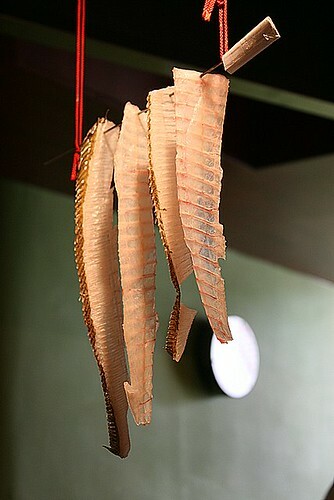 The fish bones strung up say a lot about the chef's skills too. Look at how clean they are. Could not help admiring these. Ahh... the pork belly!! Yum yum. I must go fix my craving soon. I saw the mini ribs and I am so tempted! Why why, is this place all the way in the East??? Oh...I might just pop by one day! pssst: do u live near Katong? cos i saw a few posts u did which centres ard Katong. Wahiro remains one of my favourite sushi restaurants. Best value for money! Also, their 'flavoured' sushi (yuzu, sakura, katzuo...) is an interesting twist.